Samsung unleashed the full list of its devices that will receive an update to the Android Ice Cream Sandwich OS. Verizon tablet users with either a Galaxy Tab 7.7 or Galaxy Tab 10.1 can expect an update in the future. Sprint already has the Ice Cream Sandwich update available on the Nexus S 4G, with plans for the Samsung Epic 4G Touch, as well. Ice Cream Sandwich is also on its way to Wi-Fi only models of the Galaxy Tab 7.0 In addition to the Galaxy Tab 8.9 and Galaxy Tab 10.1. However, T-Mobile drew the short straw, with Samsung still in talks with the carrier to ensure that eligible devices receive the Ice Cream Sandwich update. While it's nice that Samsung provided the list of devices to receive the Ice Cream Sandwich update, no timeframe was set for when it should be expected. The closest mention to a timeframe is Samsung saying it expects the update to be available with T-Mobile "in the coming months." 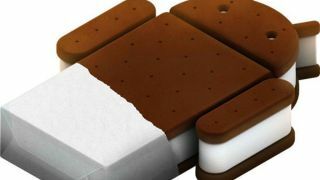 Hopefully, we won't have to wait too long, since Samsung won't want to start summer without an Ice Cream Sandwich in hand.